PowerShell version 3 makes it easier than ever to control your NIC (Network Interface Card) with Enable and Disable-NetAdapter cmdlets. 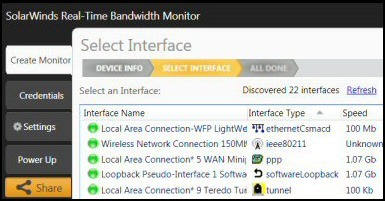 There are scenarios where you would need to disable a network adapter, for example controlling Wi-Fi usage. On the other hand, there are situations where your computer has multiple NICs and you want to choose which one is active. 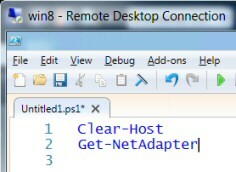 The only problem with PowerShell’s Disable-NetAdapter is that you need to know the Name of your NIC. This is where the sister cmdlet Get-NetAdapter is handy. # PowerShell script to enumerate your network cards. Note 1: You can research more properties by appending | Get-Member. # PowerShell script to disable your network cards. Note 2: Most likely you need to change the name ‘Wi-Fi’ for the name of your network card revealed by the Discover script above. Note 3: You can omit the -Name parameter as PowerShell v 3.0 assumes that the word after NetAdapter is indeed the name of the NIC. For testing purposes you may wish to ‘Enable’ the network card, and thus reverse the effect of Disable-NetAdapter. # PowerShell script to enable your network card. Note 4: Remember this: before you launch PowerShell 3.0 ISE, right-click and Run as Administrator. If you don’t have the cmdlet / function called Disable-NetAdapter, then firstly, check that your version of PowerShell is v 3.0. It also seems that this cmdlet is only available in Windows 8 and Server 2012. One way to discover more about the new version 3 cmdlets is look at the ‘Modules’ in the Commands pane, once the ISE has launched. 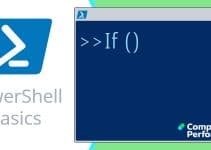 PowerShell version 3 brings hundreds of new cmdlets. If you research the NetAdapter noun then you will see a family of Get, Enable and Disable-NetAdapter cmdlets.